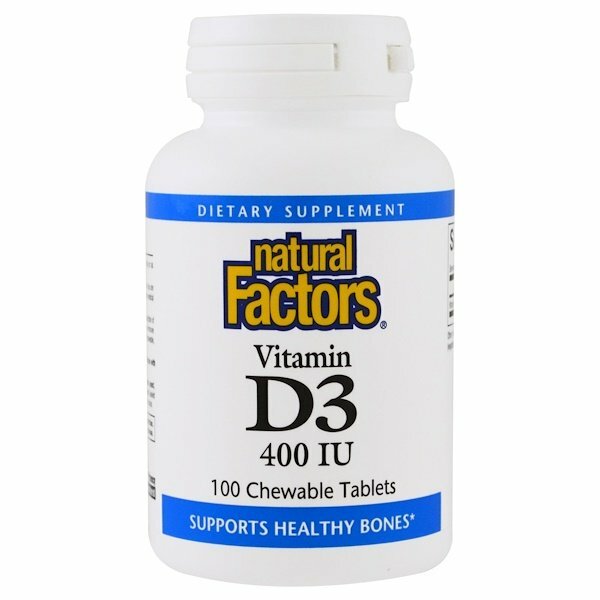 Vitamin D3 is essential for strong bones and teeth as it increases the body's absorption of calcium from food. 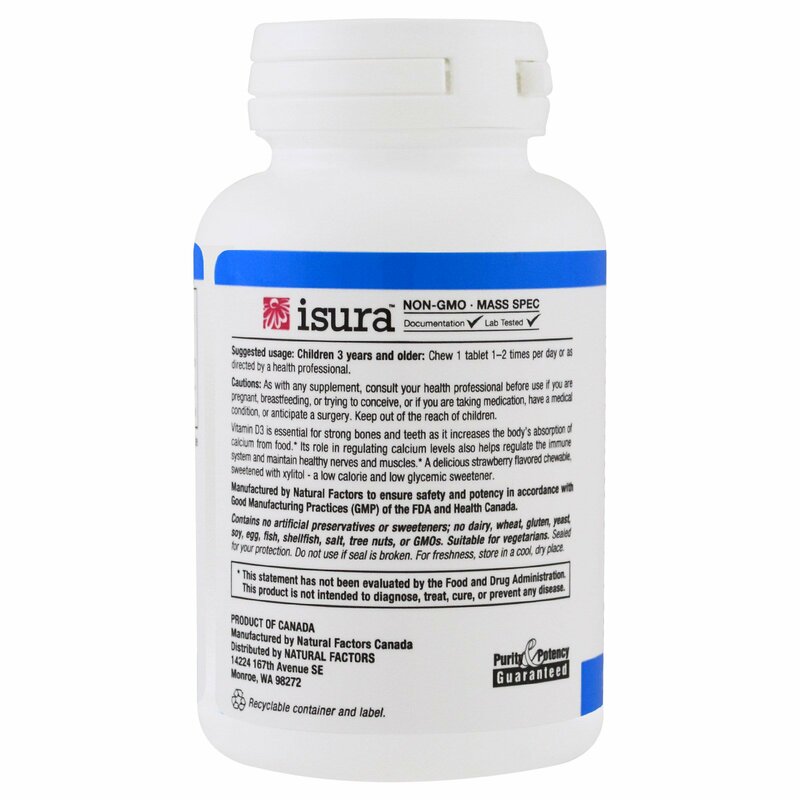 It's role in regulating calcium levels also helps regulate the immune system and maintain healthy nerves and muscles. A delicious strawberry flavored chewable, sweetened with xylitol - a low calorie and low glycemic sweetener. 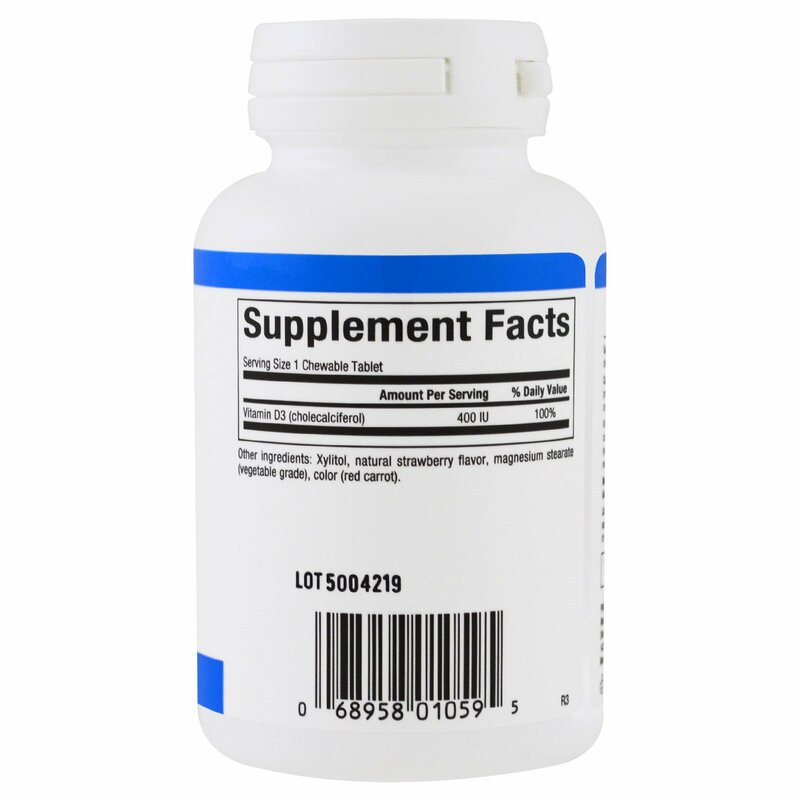 Children 3 years and older: Chew 1 tablet 1-2 times per day or as directed by a health professional. Xylitol, natural strawberry flavor, magnesium stearate (vegetable grade), color (red carrot). Contains no artificial preservatives or sweeteners; no dairy, wheat, gluten, yeast, soy, egg, fish, shellfish, salt, tree nuts, or GMOs. Cautions: as with any supplement, consult your healthcare professional before use if you are pregnant, breastfeeding, or trying to conceive, or if you are taking medication, have a medical condition, or anticipate a surgery. Keep out of the reach of children.